Cuddly, soft - just to feel good: This is what this sweater, which is cut in the straight Olsen fit Henny, is like. 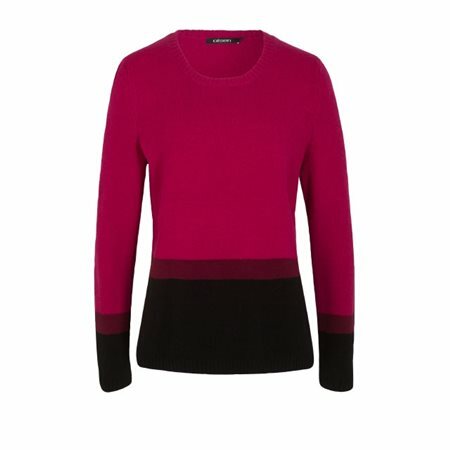 The viscose blend lies comfortably on the skin - at the same time this sweater keeps you wonderfully warm. The block stripes make it a fashionable eye-catcher that you want to pull out of your wardrobe as often as possible.